Home automation (hereafter referred to as HA) refers to the mechanization and automatic control of various residential activities. It typically provides for centralized control of electrical appliances (such as air conditioners, lighting and security systems and even the home theater). In addition to the comfort and convenience factor, energy efficiency also receives a boost. The integration of various electrical devices in the household has been a challenge because of the absence of a cheap, open and standardized communication protocol between them. Due to this reason, HA systems have typically come with a hefty price tag and the need for a professional CI (custom installer / integrator) to set up. Consumers on a strict budget are slowly getting access to cheap home automation controllers for self installation, but considerable investment is still needed in terms of time and resources. In this age of mobile computing, a wireless router exists in practically every home. Smartphones and tablets are natural devices to enable control of electrical devices. In such a situation, Wi-Fi becomes an easy avenue for self-installation of HA systems. 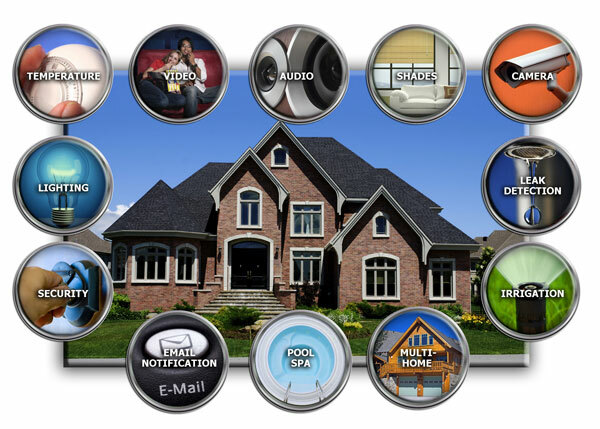 We are in the midst of a sudden spurt in interest over home automation using Wi-Fi. Till recently, usage of Wi-Fi for HA purposes was considered to be akin to using a sledgehammer to drive a nail. While it could get the job done, it wasn't efficient in terms of power consumption or cost. However, as more and more electrical devices began to get connected to the local household IP network (Smart TVs are a prime example), control over the IP network (Ethernet / Wi-Fi) has garnered renewed interest. The 'Internet of Things' has been a buzzword for an increasingly networked world where everything from the refrigerator to the lamp in the household would end up with an IP address. While this hasn't become a reality yet, we are slowly, but surely, moving towards this vision. In this piece, we will first briefly explore the history of home automation technologies, followed by why we believe Wi-Fi is placed well towards becoming the next HA standard. A couple of sections will deal with some of the interesting products in the Wi-Fi home automation space. I have been poking around very recently to check out articles about this very topic, and wouldn't you know, you guys do something about it. thanks for the read. How is this awesome? Its 1984 on steroids. If you don't think government isn't going to use this to spy on your 24/7 and turn you into a mindless slave then you don't know history. Basically what you eat, what you drink, which appliances you use, how you dress, who you with, etc... will all be public for governments or hackers to get a hold of. How exactly do you think a government would use information like this? What are you eating that would anyone would be interested in? Babies? Are you dressing yourself in radioactive waste? And what makes you think that this information isn't available to pretty much anyone who wants it anyway? Do you use a credit card? Do you have a bank account (other than off shore)? A membership card for any kind of store? Unless you are using cash for every transaction you make, they are all being recorded and tracked. Not likely by the government, but certainly by corporations who will use it to tailor marketing strategies. I'm surprised you are even using the internet. You realize that every website you visit can be tracked as well as your location don't you? Quick, better crawl back under a rock before 'they' find you! The only way you can prevent this from happening is by using this tinfoil. Wrap it around your head. Yes, just like that, but you missed the area covering your mouth. Wow, I wish I would have read this last year! Slickr hit the nail on the head. I had Night Owl surveillance cameras outside my home and all new appliances and a new furnace, as well as a fully formally monitered security system. My ex while living here allowed access and set up basically a home I had no privacy, control or in reality ownership of. To make matters worse she was an especially vindictive woman and made me listen to unpeakable things via a RPC 2700/Ubuntu network she had secretly set up!!! And I'll bet that all these Home Automation vendors will put just a bunch of effort into hardening their products so that the fine people of our society won't hack our houses and turn our lives into living nightmares. I will never buy such network-enabled appliances.